Have you seen Me before You? The one with Emilia Clarke and Sam Claflin? That movie made my sister cry, and well, I guess I almost cried as well. It was really sad. Now, I don’t want to get started on the “Why did he have to die” debate, because that’d be a long one. Besides, we all have our own conclusion to that story. Every single on of us has preference, on how that should have ended. 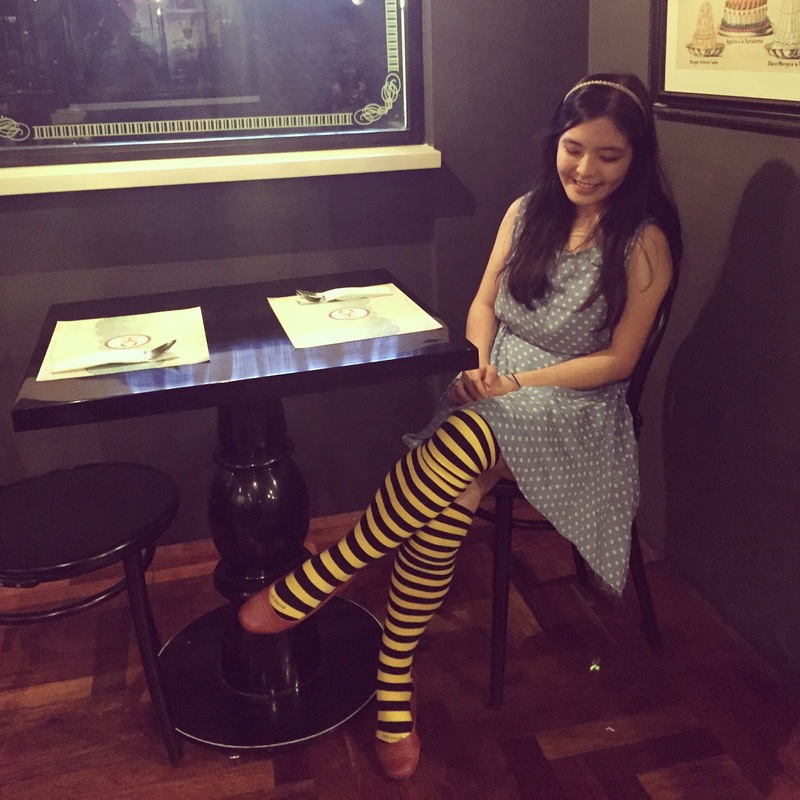 So I got myself a pair of bumblebee knee socks. No, not the tights. I didn’t find them on my shopping days. I found socks though, so that should work, right? One day, I decided to wear them. Mind me to tell you that sometimes, people are not very supportive towards self expression done through fashion. Sometimes, people like everything in the simplest forms. Like, matching everything. Color coded everything. And that’s understandable. Sure. People like uniformity. So when they spotted me, they made a fuss about it. And despite my usual ‘I don’t care’ attitude, I was surprisingly embarrassed that day. Really embarrassed. But being me, I just ignored the comments, the shouting, and some random kids taking photos of me, and just walked away from the crowd. A guy actually walked towards me and asked politely, “May I take a picture of you?” And he was so sweet that I couldn’t say no. Even though I really wanted to. I had no idea who had seen Me before You, or who hadn’t, and it didn’t matter when I had the socks on. It was just insane and I had to get out. Conclusion is: I did say after watching Me before You, that I wanted to embrace my insane fashion sense now – something Daniella just laughed at because she, of all people, knows how I dress – but it is hard to dress like Louisa Clarke. No wonder Will glared at Louisa every time she walked in.